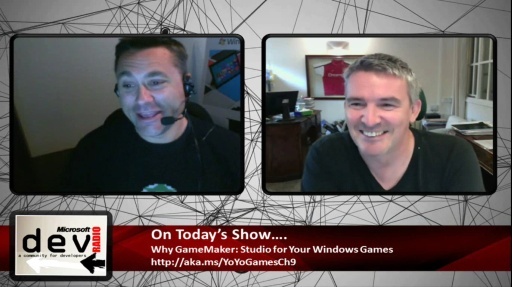 DevRadio: Why Make Games With GameMaker? [1:25] What do you think puts GameMaker above competing frameworks? [4:05] Why should a developer be enticed to use GameMaker for targeting Windows platforms? [6:48] What is next for GameMake? Any announcements? Hmm?